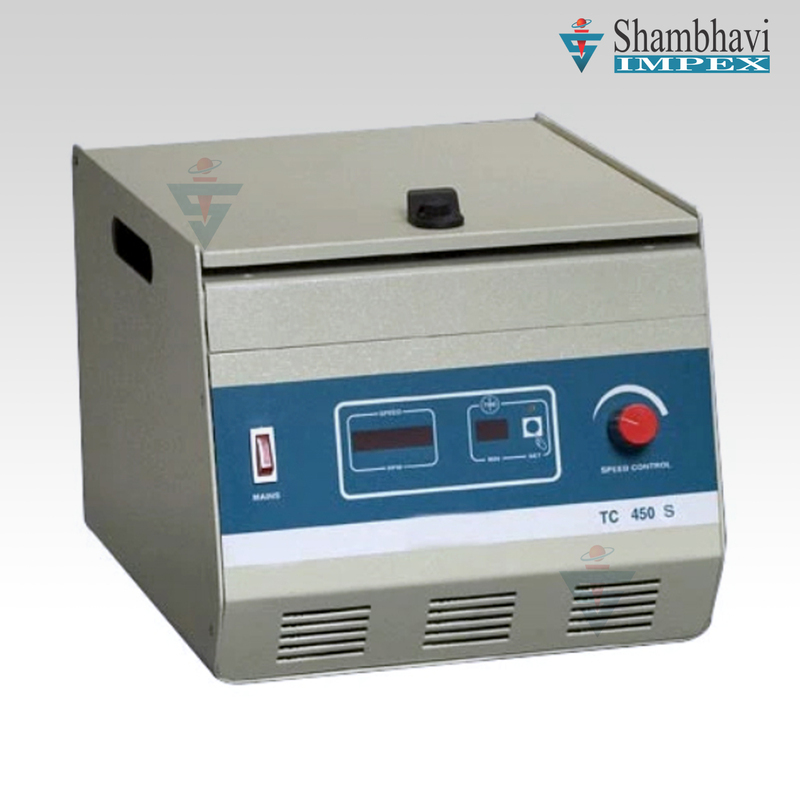 These range of centrifuges are mainly designed for general purpose application with the facility of inter-chargeable rotor heads. Imbalance detection & automatic switch off. 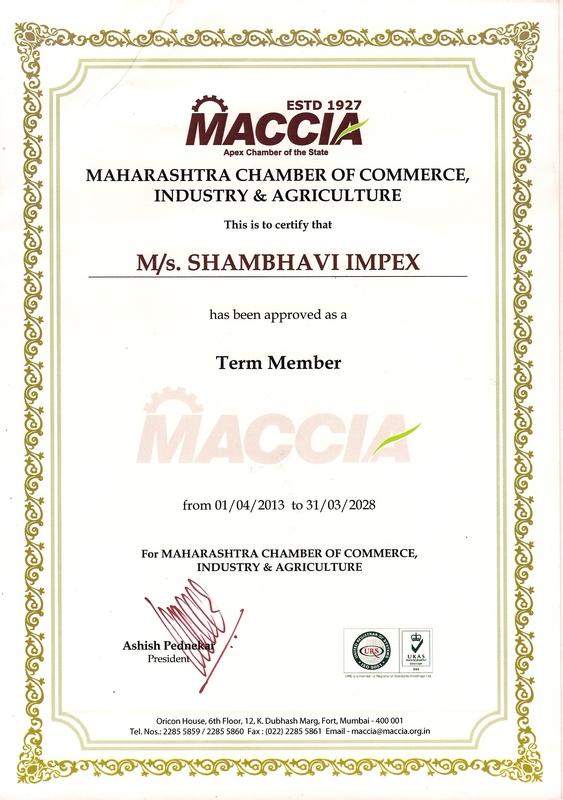 It is also offered with CE Mark on customer request. Max. RCF 3650 xg. 3950 xg. Brushless low noise AC Induction Motor with variable frequency drive. LCD Display of Speed & time. 1-99 minutes Digital timer & Infinite mode. Safety: Imbalance detection & safety switch off. Safety : Imbalance detection & safety switch off. Brushless low noise AC Induction Motor and Inverter Drive. CFC free cooling with pre-cooling & standby cooling facility. Temperature range -20 °C to + 40 °C. Working temperature -10 °C to + 40 °C. 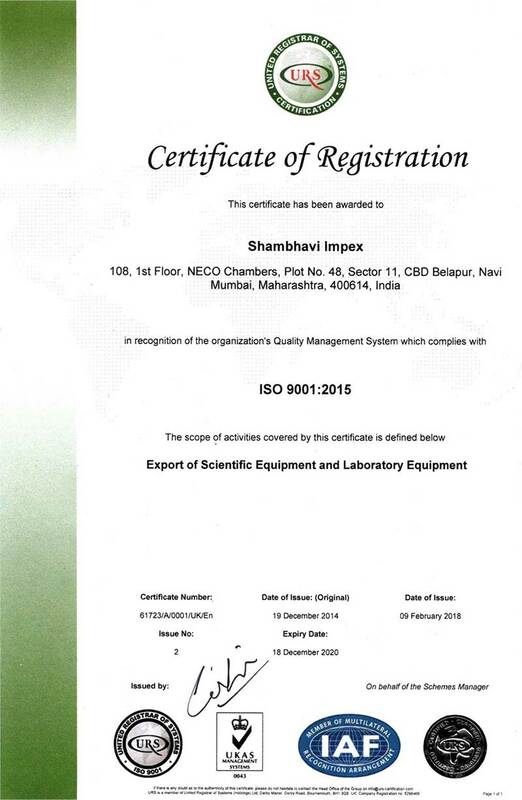 Imbalance detection & safety switch off. 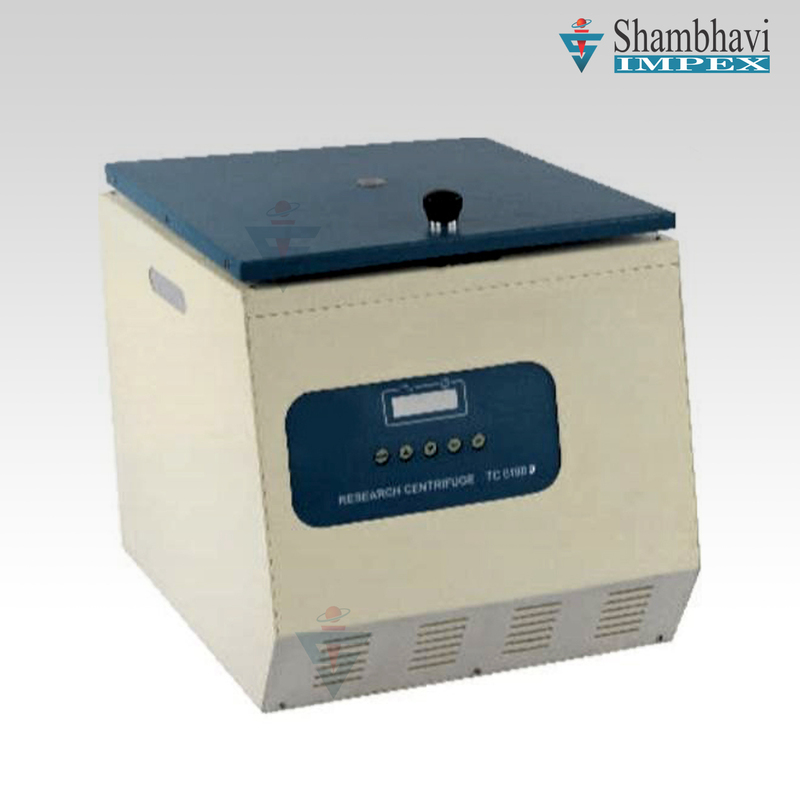 The range of Hi-Volume Centrifuges are designed for large capacity centrifuge tubes , bottles and blood bags. 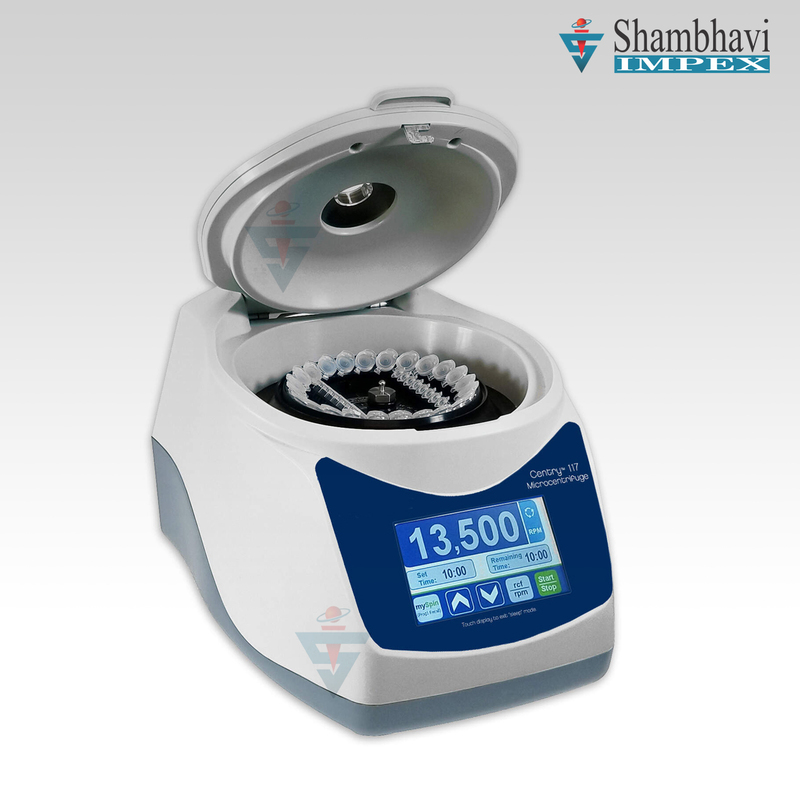 These centrifuges are mainly used in chemical and pharmaceutical processing, Biotech Labs etc. where large volume tubes & bottles are used. Fixed Angle Rotor Heads with 4500 RPM are available at following Cap./ml - 6x500, 8x250, 12x100, 16x50, 36x25, 72x15. 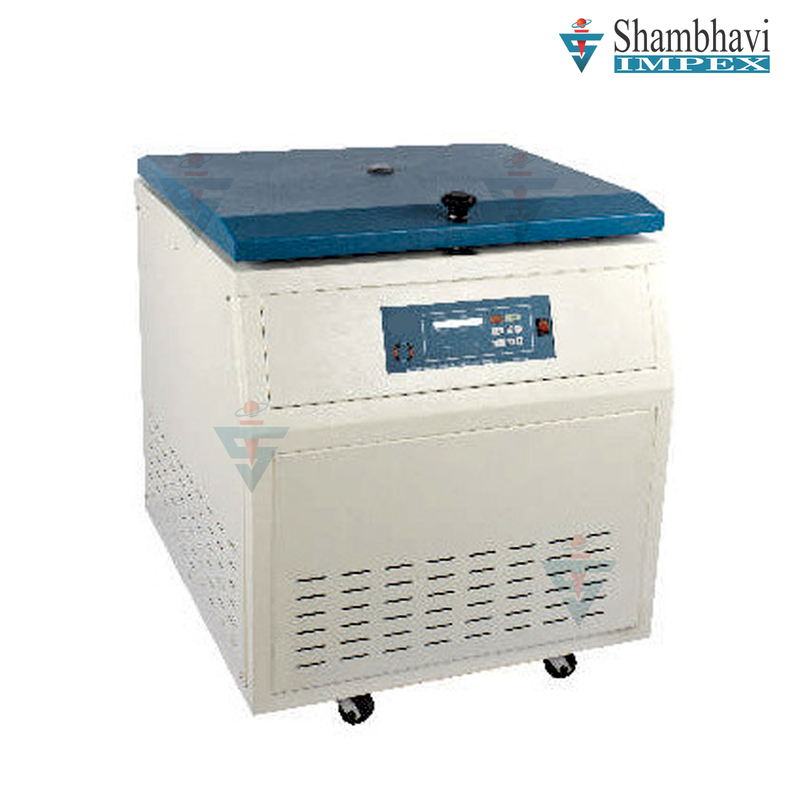 Floor model centrifuge is heavy duty unit fabricated from steel and epoxy coating. Microprocessor controls provided has 99 program memory. Brush less induction motor drives. 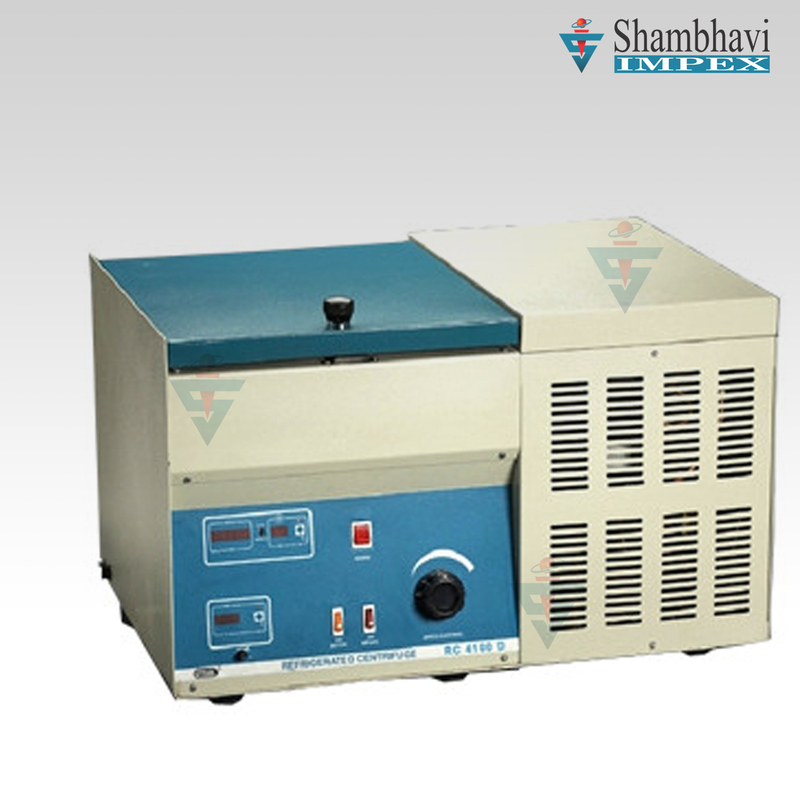 The microprocessor control is provided with programmable variable speed control up to 4500 RPM with 10 RPM increment. Continues read out of working RCF Value. 1 to 120 minutes timer programmable in 1 minute increment with infinite mode. User programmable Acceleration and Deceleration time range from 40 seconds to 450 seconds. Mechanical and Electronic lid lock with indicator. Imbalance indicator and LCD display of set and working parameters. Gas spring fitted fail safe door.